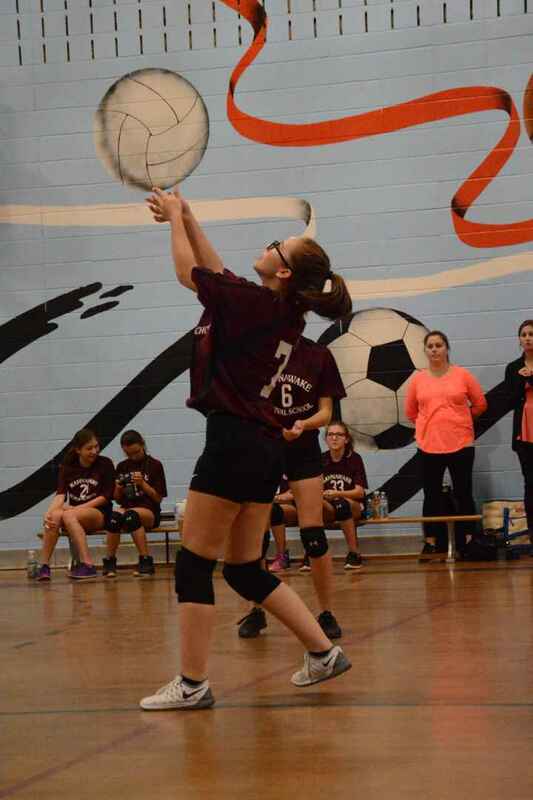 The Kahnawake Survival School’s girls’ volleyball team had a tough road to travel to repeat as GMAA (Greater Montreal Athletic Association) champions. 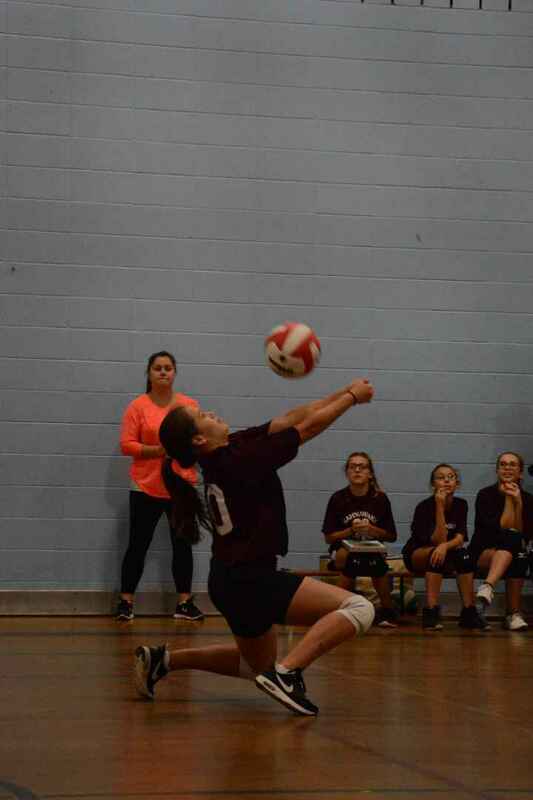 KSS played first place Laurier Macdonald High School at home in the quarterfinals Wednesday afternoon to start the playoffs, and it would be their last match of the season. The Laurier Macdonald Rams made few mistakes, and were able to stamp out any sparks Survival had before they became a fire. Survival never lost its fight or ability to smile, as the Rams won two straight games to eliminate the 2015 champs. Survival struggled with its passing in the first game and lost 25-17, but looked poised to bounce back in the second. Some quality serving from the always-dangerous Iawenhontsaieshon Peterson McGregor had KSS up 8-2 to start the game, and it looked like the burgundy-clad girls would force the rubber match. The Ram girls, however, did not lose their collective focus, and eventually took the lead away at 12-11. With some quality serving and tight team play Survival battled back, and with the game tied at 17s it was anybody’s game. The Rams went on a scoring run though, fueled by effective serving and tight defence, and Laurier MacDonald sealed the game 25-18 to eliminate the champs. “It was just the little mistakes we made,” said Ken’nikahontesha Norton-Montour playing in her final game for Survival. Survival’s volleyballers never lost their positive spirit throughout the game. Volleyball is an incredibly unforgiving game where three or four points can decimate morale on the most solid of teams. With every dip in form, mistake or lost point, shouts of “keep smiling” came from coach Krissy Goodleaf’s bench, and the girls continually rallied around their sisters. “The girls were awesome,” said Deom, the team’s standout player for the past two seasons, who has also played her final game for Survival. She had no bad words for her teammates. 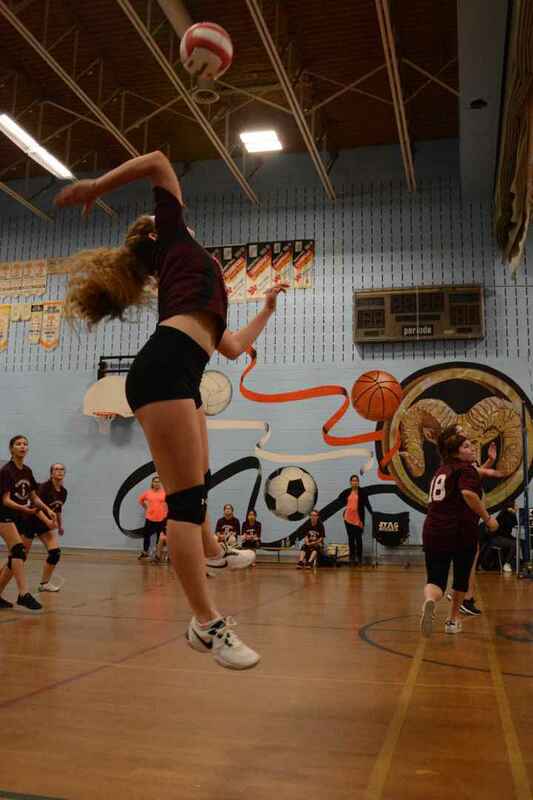 Deom has been a mainstay on the volleyball team since grade seven, and it was her and the other veterans’ role to embrace new players, be they in grade seven or eleven. Norton-Montour suited up for a team sport for the first time in her final year of high school. She played solid throughout the quarterfinal game, and improved dramatically from the first match day just over a month ago. Montour had no problem fitting in with the team, as did fellow graduating player Aislin Marquis, who played a team sport for the first time. Marquis admitted to being nervous when she first stepped on the court, but that her teammates helped quell the anxiety with their positive reinforcement. For Deom, saying goodbye to her burgundy jersey was sad, but she never stopped smiling as she spoke about her years playing for her high school.